Closer look of the first story with intricate carvings on the wall. Red sandstone carvings on the outside wall. 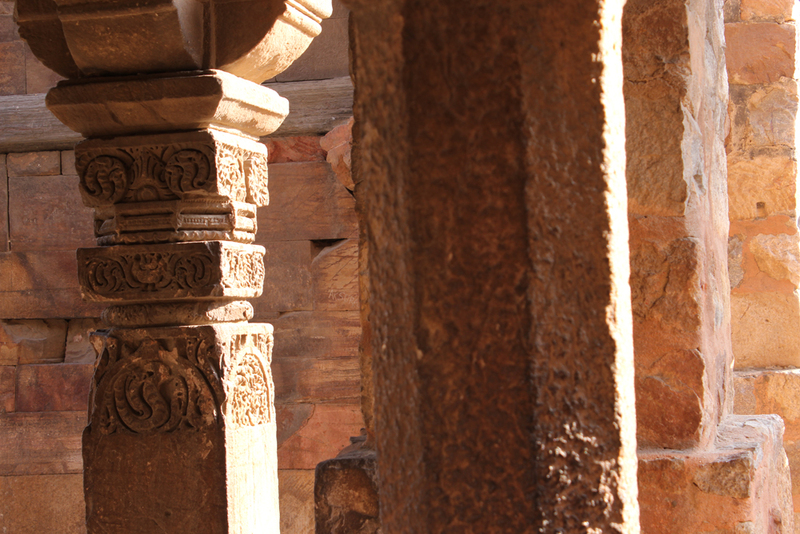 Pillared monuments at Qutub Minar. Closer view of the carvings. 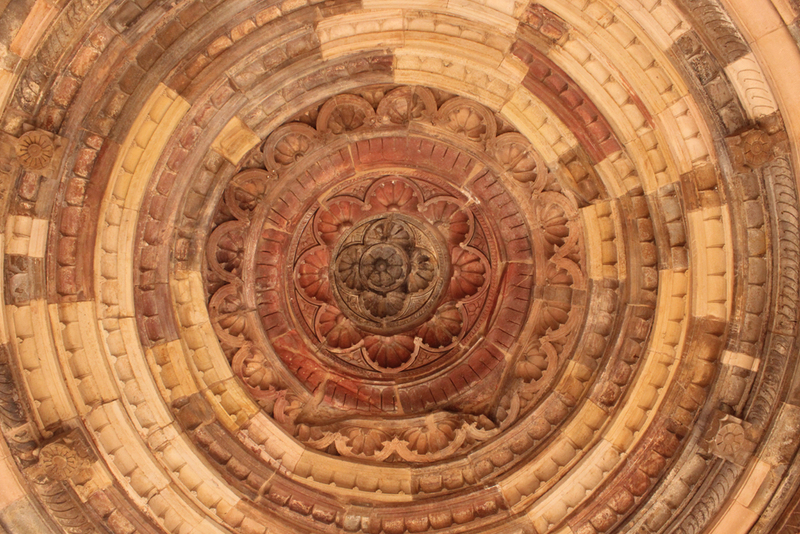 Red sandstone ceiling inside the Alai Gate within the Qutub Minar complex. The old iron pillar from the Gupta Empire period. 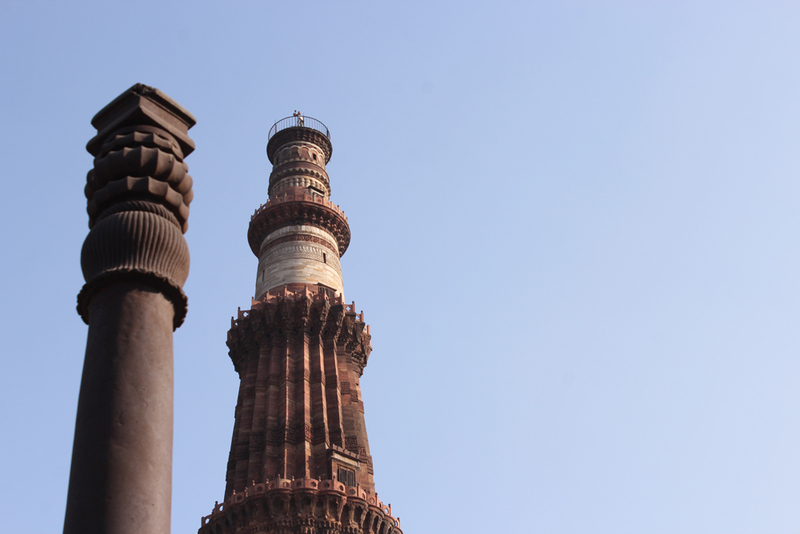 The might old Qutub Minar standing tall since ages. 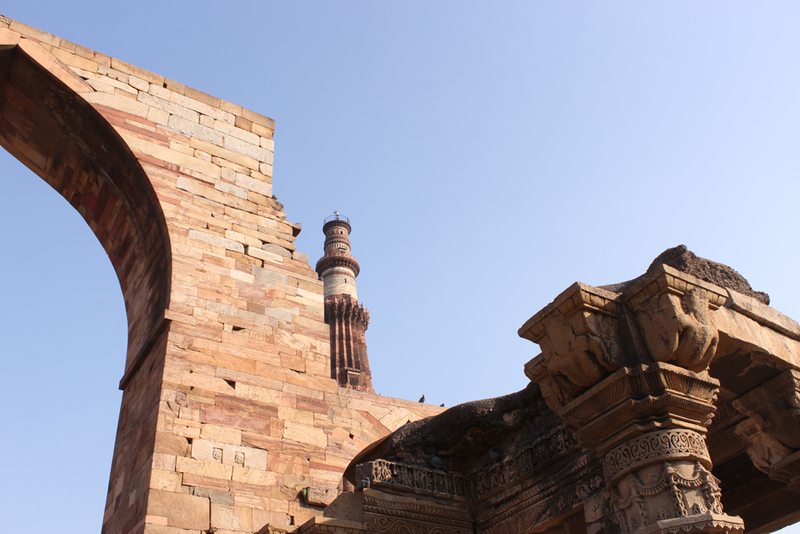 Qutub Minar as seen from the outside the complex. Shadows inside the pillared monument. Closer look of the pillared monument. 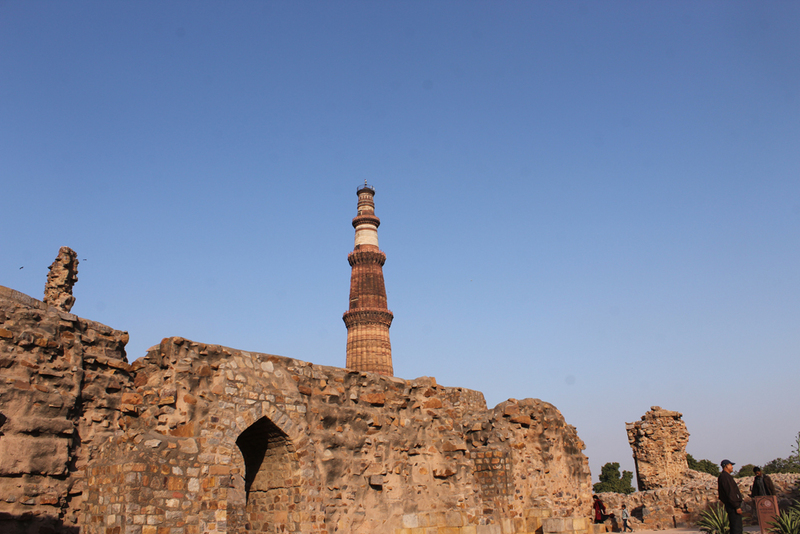 Qutub Minar against the backdrop of the blue sky. The top two storeys are made of marbel. 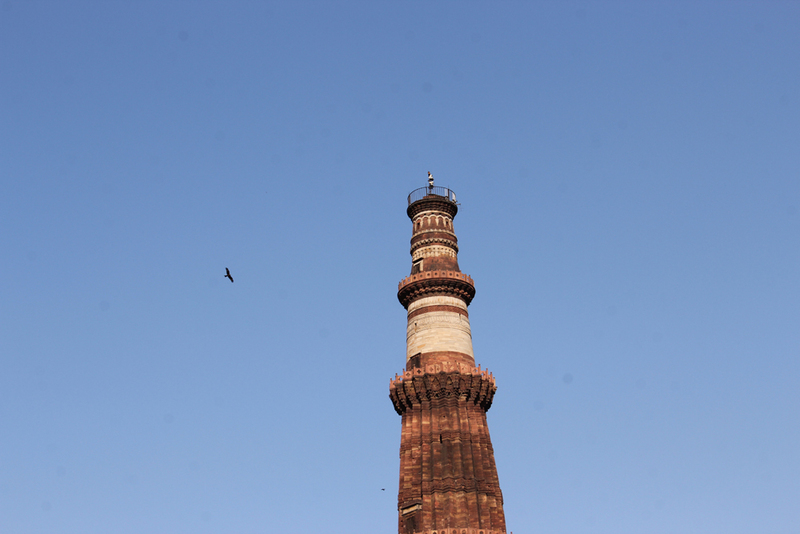 The tallest brick minaret in the world, standing at 75 meters tall is the UNESCO world heritage site in India. 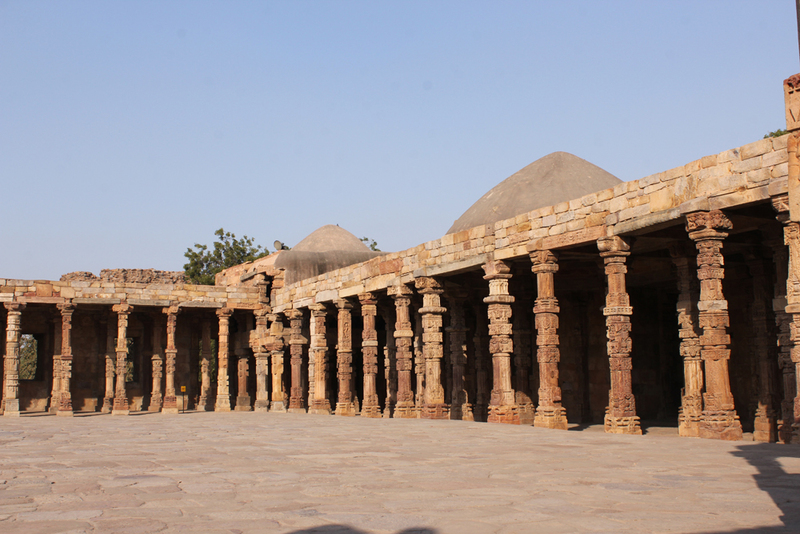 There are many other old monuments of medieval times and together with Qutub Minar they form the Qutub complex. 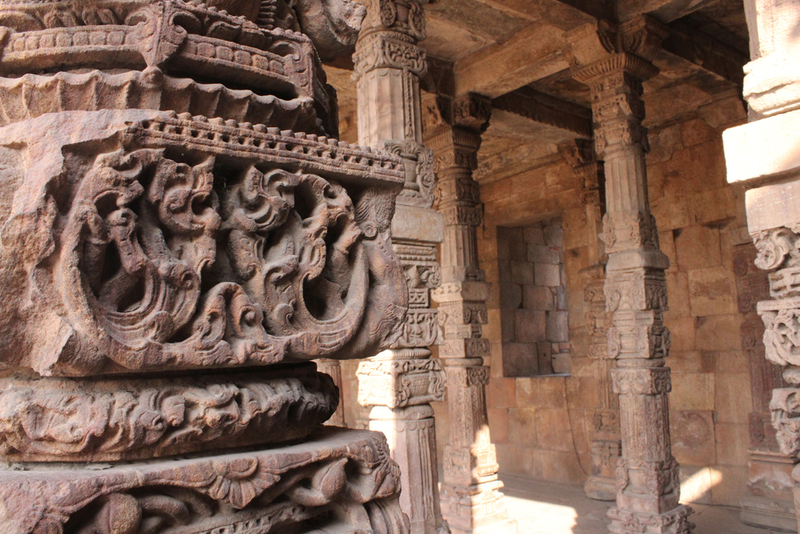 Located in the Mehrauli area of Delhi, it is made of red sandstone and marble. 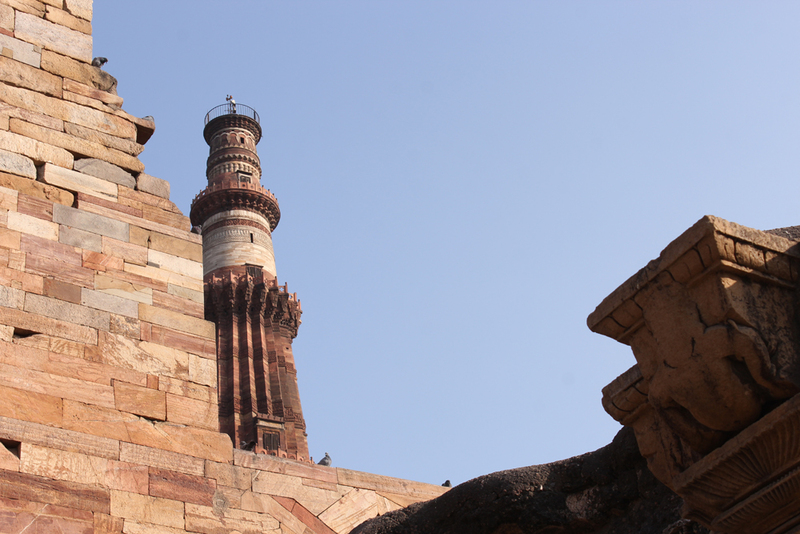 It was commissioned by Qutub-ud-Din-Aibak, the founder of the Delhi Sultanate in 1199 A.D. 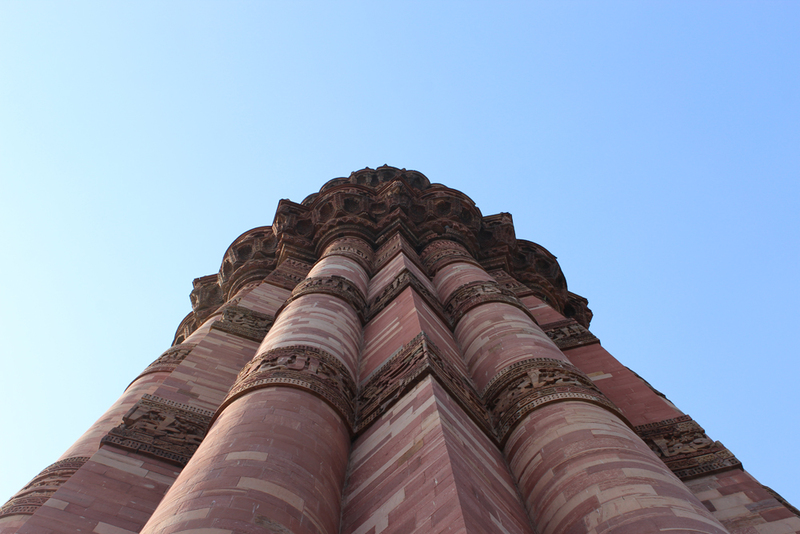 The Minar is made of red sandstone and marble with intricate carvings of versus from Quran. There is circular staircase inside which reaches to the top balcony, however the entry to inside the Minar is now banned due to a tragic accident that took place in 1981 where 45 lives were lost due to a stampede. The complex has been other old monuments inside each with its own set of history. 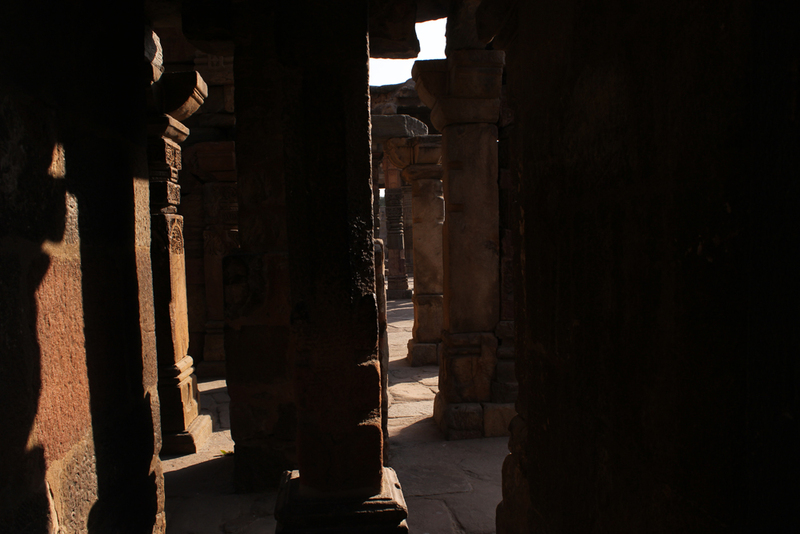 There is an old iron pillar which is from the Gupta empire period. 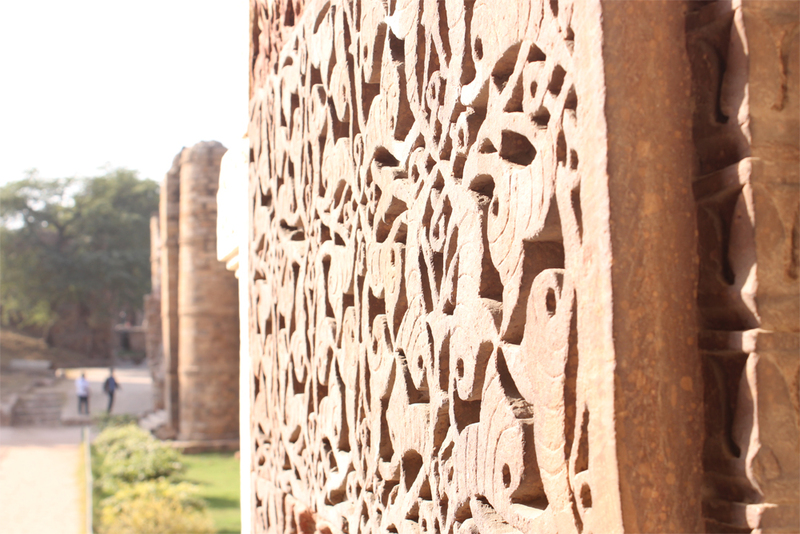 A visit to the Qutub complex is must if one is history buff and want to experience the old medieval monuments of northern India. The entry fee is very nominal and the place is open from sunrise to sunset.